You can haz art history! 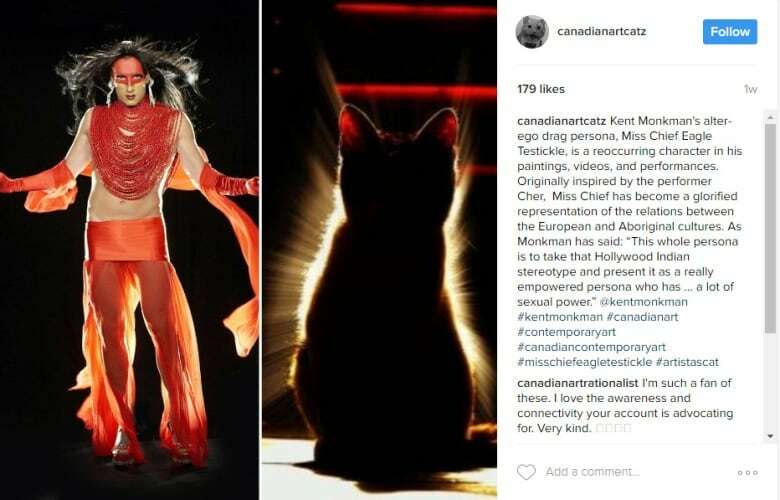 Canadian Art Catz (@canadianartcatz) pairs information on artists, curators, movements, gallery directors and artworks with kitteh pics. You can haz art history! 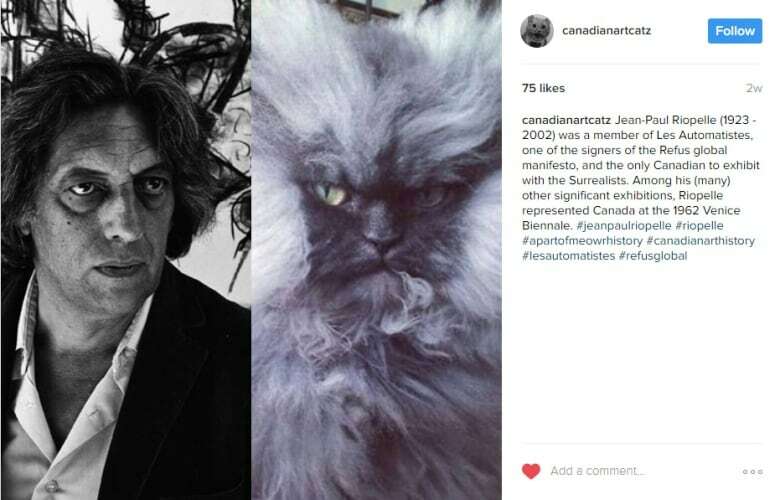 It's Instagram's best cat-themed authority on Canadian art past and present. Really, it might be the only one. But the account, simply named Canadian Art Catz (@canadianartcatz), has scratched together more than 100 posts since launching three weeks ago — informative items on artists, curators, movements, gallery directors and artworks that just happen to be twinned with kitteh pics. 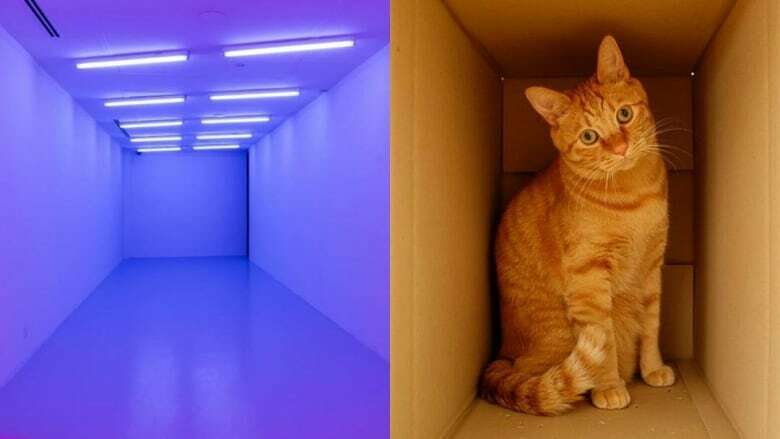 "I've fallen in love with Canadian art all over again because of this feed," says the Instagrammer behind the account, Lord Kittinger Mewsworth III ("or Kitty for short"). They're an art curator by day, but they operate Canadian Art Catz anonymously so there's no implied association with their employer — a gallery or museum that is no doubt managed by dog people. 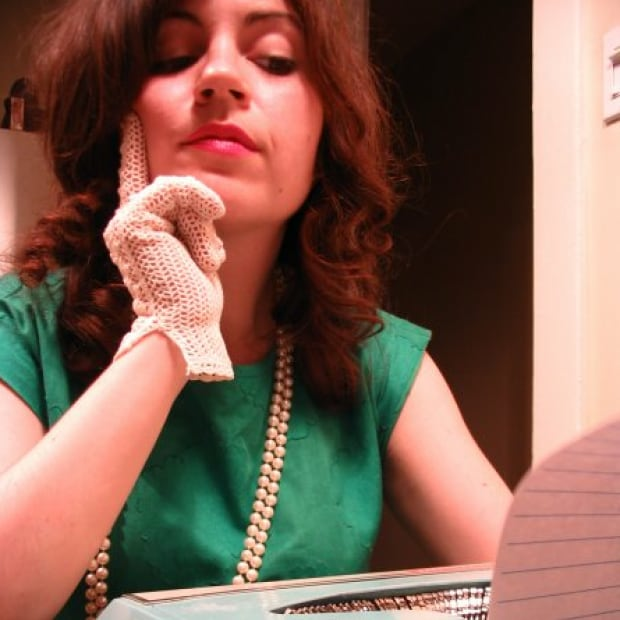 The project is a solo affair, Kitty explains, but fan submissions are regularly accepted. So far, the process has been educational. "I've learned about [Canadian art's] history, its diversity and the inspiring work of artists and arts professionals across the country. I hope that people get the same thing from it, while also having a good laugh." CBC Arts reached Kitty by email to get the origin story of Canadian Art Catz. Truly, the artists featured are "a part of meowr history." Where did you get the idea for Canadian Art Catz? About a month ago there was a wave of Instagram accounts created about the Canadian art world: @canadianartworldhaterz followed by @canadianartworldhaterzhaterz and @canadianartworldloverz, then @canadianartrationalist and @chememecal_peel. It was fascinating to watch the memes and counter-memes develop. About a week later, I was stuck in the house during a snowstorm and thought, "Cats are missing from this conversation." So, I dove in. On one level, it was just a silly way to pass the time. On another level, it was a personal test: how much of the Canadian art world could I match with cat photos? But, above all, the feed is what I enjoy about my job. I am a curator. I constantly research art, position images in conversation in the gallery space and write texts so that people have entry points of understanding. It's also my job to know what's happening in the Canadian art world, but the country is so large that I (and most others) primarily learn about it through the internet. So, Canadian Art Catz also speaks to that part of my life — conversing with the art world through a glowing screen. 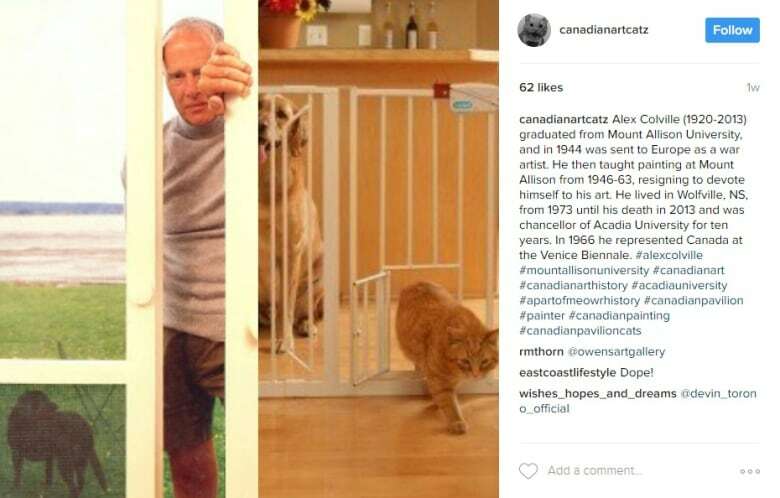 What makes cats and Canadian art such a perfect combo? Satire softens hard truths. I've watched politicians like Stephen Harper appeal to the populace by posing with kittens, and simultaneously reinforcing a perception of the art world as elitist. I dislike that sort of lazy propaganda immensely, and constantly think about how to bridge the perceived gap between the arts and the general public. Well, what happens when you take a popular image (such as a cat) and combine it with something that is supposedly rarified — like an artist? Will making the art world cuddly make it more palatable? Does that act diminish the arts or promote it? Why not puppies...or sea otters or baby anteaters or anything but cats? Although there are other popular animals, such as the doge/doggo memes, the variety of imagery for cats is mind-blowing. On the other hand, the amount of images of Canadian art is astoundingly small. How do you decide who — or what — to feature? When I first started, I made a list of all the artists, curators, directors, writers and dealers that I could think of. Then I opened up my art magazines and art history texts. Then I told a curator friend about the project, and they started sending me names. I now have a huge list that continues to grow, and have developed a large library of cat images as I've gone along. When images match up, it goes in the queue. But I also try to keep posts balanced regionally, historically and in terms of cultural diversity. That being said, there are a few artworks and people that have been difficult to match with cats. For instance, I've been looking for weeks for a cat image for Barnett Newman's "Voice of Fire." I know it will happen, but probably when I'm searching for something unrelated like "cat surrounded by bananas." It seems to work out that way regularly, which is fun. How long do you plan to continue? I honestly don't know. The project has reminded me how massive the Canadian art world is, despite the fact that it can often feel so small. There are still so many artists, curators, art dealers, writers and directors to match up with cats. What kind of feedback have you been getting, and how has it influenced the project? It has been very positive. Surprisingly so, to be honest. A lot of people have been messaging me directly to say how much they enjoy it. I really appreciate that, because the whole thing feels far away. I see the followers growing and people commenting, but I'm just sitting on my couch, wrapped in a blanket, Googling things like "old cat with beard," or "seven gentlemen cats sitting around a table," or "cat that looks like an egg." Others have made suggestions, such as to add more diversity and more women, which I also appreciate. After all, it isn't my Canadian art world as kittehs; it's the Canadian art world as kittehs. Check out Kitty's all-time favourite posts.